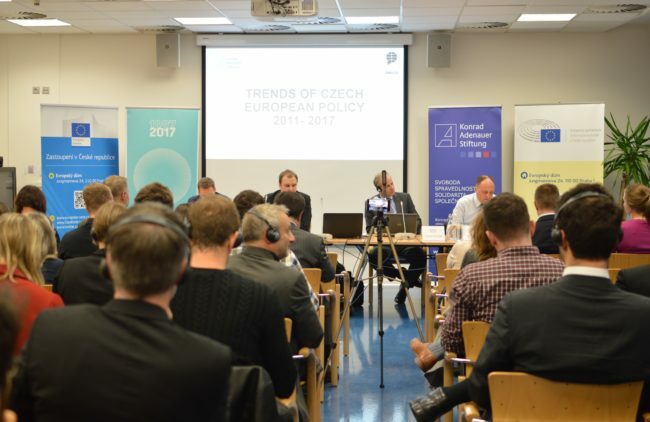 Presentations of the results of an international project that examines the positions of the V4 countries on the future of the EU based on the attitudes of the V4 European political elites took place in Prague and Brussels. The main findings of the project Trends of Visegrad European Policy can be found in the research paper written by AMO Research Director Vít Dostál and Zsuzsanna Végh (European University Viadrina), and on the newly launched website. Vít Dostál (AMO), Tomáš Madleňák (Slovak Foreign Policy Association), Marta Przywała (Kościuszko Institute) and Zsuzsanna Végh (European University Viadrina), who participated in the research, presented the main findings at an expert round table that we organized Brussels. The Czech results were also presented by Vít Dostál in Prague, as part of a debate that dealt with Czech policy after the election. 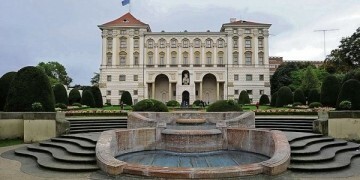 The project is implemented in cooperation with the Slovak Foreign Policy Association (Bratislava), CEU Centre for European Neighborhood Studies (Budapest), and Koszciuszko Institute (Cracow) and kindly supported by the Konrad Adenauer Stiftung and Wilfried Martens Centre for European Studies.